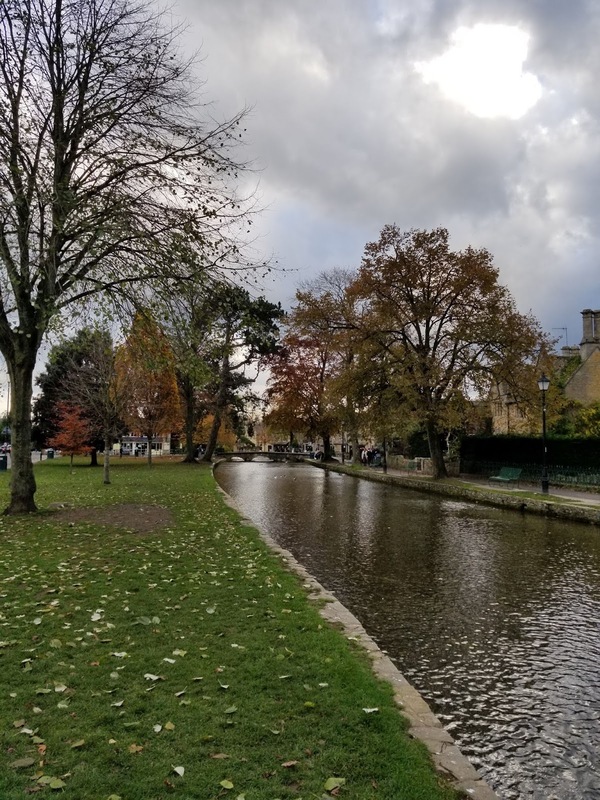 DEBORAH CROMBIE: I've found myself thinking quite a bit about one of the unexpected little delights of my recent visit to England. 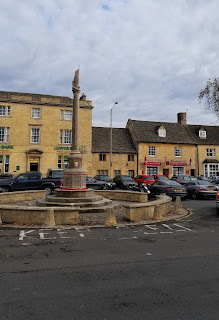 I'd taken the train from London Paddington to the Cotswold market town of Moreton-in-Marsh, in Gloucestershire, arriving at lunchtime. 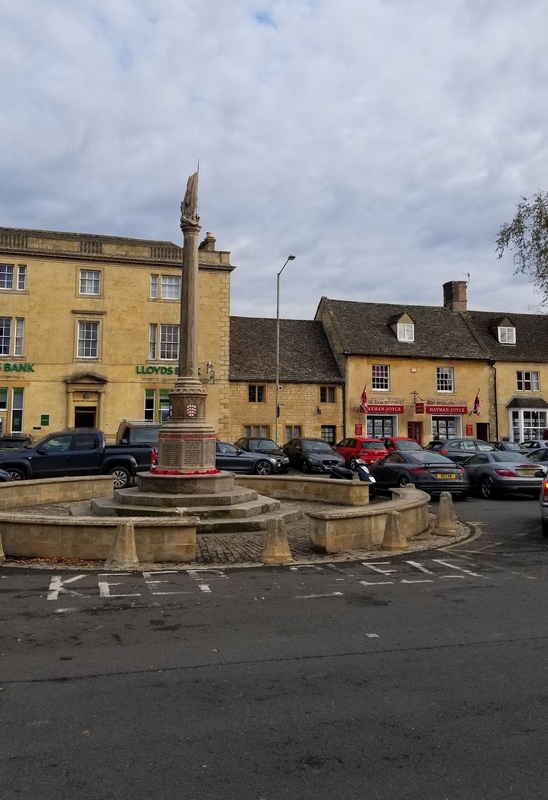 Isn't it a lovely place, with all that golden Cotswold stone? I had a fabulous lunch at Martha's Coffee Shop on the High Street, a place I'd discovered on my last visit. And, then, as I only had a small suitcase and no schedule to keep, I decided to explore a little. The first thing I saw was the window of the shop right next door to Martha's. A toy shop!! THE TOY SHOP, as it turns out. I was so enchanted with the place that I took photos of the displays to send to my daughter. 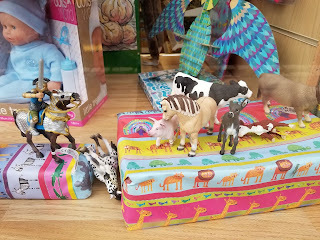 I wish now that I'd bought some of the little animals for my granddaughter--I'm sure she would have loved them. I loved them! I wondered how long it had been since I'd seen an actual toy shop. This one, I learned, has been in business for almost fifty years and has NINE rooms! You can take a virtual tour on their website. Absolute heaven for a child--or a childlike grown-up. but a model railway shop, too. Back in London, I managed to get to Regent Street, where I peeked in the windows of the toy shop to end all toy shops, Hamley's. This is a London institution, and a visit to Hamley's at Christmas is something for children to dream about all year. This photo doesn't begin to do it justice--the windows are fantastic and the store is immense! All this made me realize I missed the wonder of toy shops. Have the English held on to something Americans have lost? With the demise of Toys R Us (never all that appealing) about the best we can do around here is the toy aisle at Target. REDS and readers, do you have toy shops where you live, or memories of wonderful toy shops? And just for fun, while not a toy shop, this was my favorite magical Christmas window in London--Anthropologie in Regent Street. Isn't that just divine? Goodness, the windows are amazing. Sad to say, there are no toy shops near us now, but when we lived in California we made it a point to take the children to Mrs. Nelson’s Toy and Book Shop in La Verne. What a treat! It’s such a special place, filled with wonderful toys and books . . . . I wonder if toy shops still exists in the USA? It seems more of a British and European thing to have toy shops in the village. I remember toy shops when I was a very young child. Nowadays, you may find pop up versions of a toy shop at places like Dickens' Christmas Fair or a Renaissance Faire ? As you pointed out Deborah, with the demise of Toys R Us there aren't really that many options any more. Yes, I can go to the Target and Wal-Mart toy aisles. However, those aren't generally all that appealing as anything more than a quick stop off to get a gift and be gone. I can't recall any specialty toy stores from my childhood either. Oh my goodness, how lucky you were to see those toy shops! They are brilliant! I miss being able to see all the little shops like these as you stroll down a street. I lived in Germany for 10 years and my favourite pastime was window browsing! I took a quick peek at The Toy Shop website and I am going back to spend more time doing a virtue browse! Thank you ever so much for sharing this bit of your trip. Oh, and always by toys. Never to old to have them! Thanks for sharing those, Deb. Loved the toy shops and window displays. We have a lovely little toy shop in an upscale shopping place here called The Red Balloon. It's been around for awhile, but like the book shop there, I always wonder how long it can last. It seems that shop window displays have been lost to all the big box stores and internet sales. Sad. Another simple pleasure that is missed! Little (and big) toy stores are a vanished breed. I shop for toys at Marshalls and Target or online; for Christmas I bought my grandson (shhh) a Paw Patrol fire truck on Amazon. Children's bookstores have vanished here, as well. But the best place to buy toys is at yard sales. I remember the children's store where my mother took me for school clothes when I was little. It had a whole side area for toys. There were dolls displayed in glass cases. And a saleswoman (another vanished breed) who helped pick out clothes. I can't say that I'll miss Toys R Us. It was like a massive cake with too much frosting, in my opinion, and kids got in there and it was like they were on a sugar high. More isn't necessarily better. Hallie, I never liked Toys R Us, either. And, I, too, ordered Wren's Christmas present (shhh) a Duplo airport, from Amazon. Which is all great for the things you already know you want, but not for discovering the things you didn't know you loved. Toys R' Us is too far from where we live. If we wanted to go there, we would have to drive an hour to get there! Good thing there are no toy shops near here like those you've pictured. I'd have to find a dozen excuses to go browse--especially this time of year! The closest we've ever come to a toy shop was a hobby shop, mostly dedicated to toy trains. They carried a full line of Thomas the Tank engines and train tracks--the wooden ones--with all of the accessory bridges, buildings, etc. The boys loved a special trip to check out the trains, but that little shop has been gone for years now. How wonderful! I've only ever visited such places in my imagination. Why is it that those toys seem so much better than anything we can find here. Deborah, you will have to go back and buy some of those animals. I insist! I seek out specialty children's book and toy shops wherever we live. I have fond memories of Hobbit Hall in Roswell, Georgia--and old house in the historic district packed with books and toys on different levels, frequently hosting author events. It became mail-order only. I don't remember any toy shops growing up. But I guess there is one going into a building in a nearby town, so I'll have to check it out - now that I have a reason to buy toys again. Surely there is always a reason to buy toys, Mary? Maybe, but between the books and stuffed bears I don't have a place to put them! The last time I was in a toy shop, a real one, was in France. I was looking for something for the Neighborhood Fairy to bring the little girls up the street for their fairy gardens. Everything was horribly expensive as I recall, so it was back to the Dollar Store for me when I got home. For years now I've been sending the grandchildren money for Christmas, but this year I've succumbed to something different from Amazon the Antichrist. Every three months they will get a book box, two hard back books in each one, age appropriate. I know they won't like them all, but their mother is a fourth grade teacher, and she can take the unloved ones to kids in her classes. These are twenty bucks and box, and I know most of them will be by aspiring children's book authors. I hope I'll be giving a leg up to writers out there whose books aren't on the best seller lists. Yet. If interested, check it out, twenty bucks a shot, free shipping, and books can be returned or exchanged. The list is limited however. Whoops, is this thread drift or what? Aorry Deb. Ann, thread drift is always fine:-) And I think the book box is a great idea. I'm going to check into that for Wren. We have a toy store here in my town, and an even better one in Newburyport (where you spoke once)! I try to shop there every year. I suspect the reason there aren't more toy shops is that we tend to do just that- visit once a year. I'm guilty of it too. I only now have a little one again to shop for! I was going to mention Treehouse Toys! We used to shop there to find toys that you couldn't find anywhere else. We still have A Child's Delight in Marin County, stocked with really good quality toys. Where do American children buy their toys these days? Of.... Do they not play with toys because they go straight to video games? Eek. Actually, Marshall's/Homegoods has a pretty good toy section and some things are very high quality. That's were I bought Wren's tea set last year that is her favorite thing to play with at Grammy's. Also, Barnes and Noble has a lot of toys and games these days, expanding their market, and I am all for anything that gets people in bookstores and that keeps bookstores open. When I was a kid, Woolworth's was my dream destination. They carried a whole line of those wonderful Breyer plastic horses, and I accumulated more than a few. As an adult, I look for toy stores whenever I travel. I found a marvelous one, Finnegan's, in Portland, Oregon, within easy walking distance from my hotel. Also, I've seen those highly detailed plastic figures--horses, dogs, knights in shining armor and associated dragons--at Michael's. I think we should nurture our inner children and buy toys whenever they speak to us. Coloring books are all the rage for adults these days. Why not toys? Oooh, I have to get to Michael's, then (craft store, for those who don't have them where you live.) I really, really wanted those little animals in The Toy Shop. I said they would be fun for Wren--which I'm sure they would--but I wanted them! They reminded me of the little figures my cousin and I played with for hours and hours when we were kids. Oh, and Gigi, the Breyer horses!!! I wonder how many of us played with those? Kayti had those, too. Doesn't our feed store carry them now? My daughter had those horses too! No idea where they are now, but she has quite the collection. As I recall they were pricey for the times. What fun, to visit those old-fashioned toy shops, Debs. FAO Schwartz in Manhattan was a paradise for children and adults alike, and when they closed it I was so glad we'd been able to visit at least once, although it was not at Christmastime. Did I recently read they were reopening? I sure hope so. We have at least three lovely toy stores here in Cincinnati. It used to be more, but one by one the others have closed. I think that's really sad for kids. One of my favorite childhood memories is getting the Sears toy catalog in early December and perusing it for hours with my little sister. 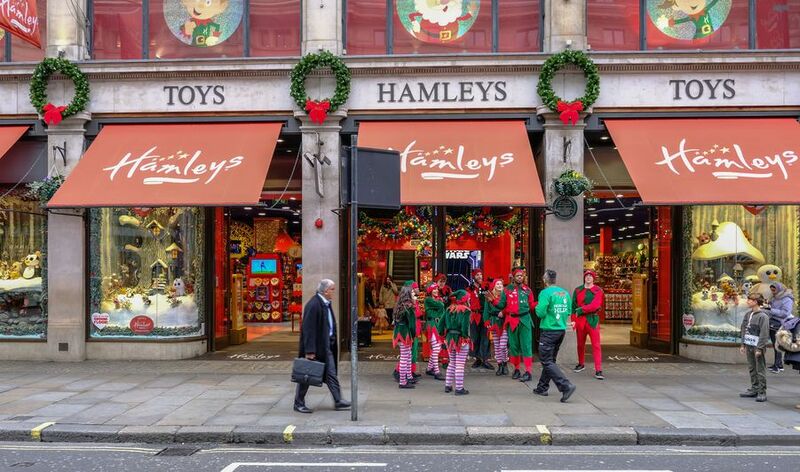 I recommend doing a Google image search for Hamley's. It really is amazing, but none of the royalty-free photos available began to do it justice. But I don't love even Hamley's as much as the little toy stores like The Toy Shop in Moreton-on-Marsh. You would think that my charming, historical, tourist destination town square would be a good place for a toy shop. We do have a place that has some games, but they are more about things like fudge and pralines--not necessarily a bad thing! And we have a fabulous Lego store at Northpark Center in Dallas. Now I think I should do a "toy shop tour" of England. Hmmm. How to work into a mystery?? Of course it works. And Toby will adore it. Debs, you could use a toy sales rep in the story. Someone who travels around to different shops selling their line. Don't overlook The Moving Toyshop, by Edmund Crispen. Still my most favorite of his. A toy shop appears, is the scene of a murder, and then it vanishes! But Gervase Fen can figure it out! I may need to dig out my copy for a re-read. 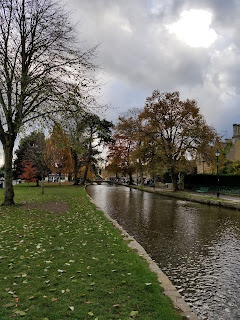 Loved the Cotswolds. We visited a house that had been in the same family for 500 years! 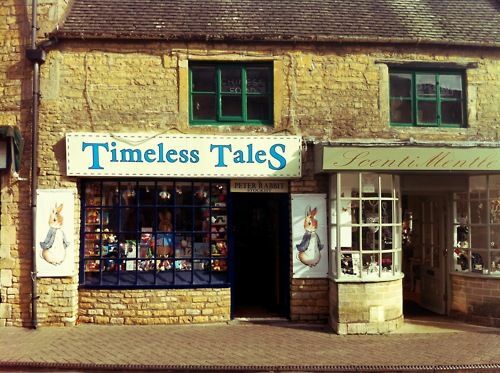 When I was living in England, I went to a cute little toy shop (Oxford? Cambridge?) and I bought a doll for my two year old relative. It amazes me that, despite the Thatcher years, they still have toy shops. Love the photos, Deborah! Maine, happily, is small enough (population-wise, at least) that we still have thriving small stores. Brenda, above, talks about Treehouse Toys in Portland, and to that list I'll add Rainbow Toys in Falmouth, which is round the corner from the location of the late, much lamented indy bookstore Bookland. The same shopping strip has the best pizza shop in Maine, so you can imagine what a fantastic time we had there on a Saturday afternoon. Further up the coast is Planet Toys in Camden. While they've shrunk from their heyday, when they took up two consecutive storefronts, they still have unique creative toys AND Camden has two terrific book stores: Sherman's (a Maine-only chain) and Owl and Turtle. 10/10 can recommend. I used to order toys from the Lillian Vernon catalog, too. We still have some of them, over 30 years later. Deborah, I remember the Hearthsong toy shop. I loved that shop. Not sure if it is still around. I don't remember any toy shops from my childhood other than FAO Schwartz in NYC. Not exactly a quaint shop but a lovely annual pilgrimage, nonetheless. The closest thing the hooligans had when they were little was the shop attached to the McCormick-Stillman Train Park (miniature trains you can ride) that sold all sorts of trains. That was their holiday shop of choice for many years. Thanks for sharing the beautiful pics, Debs. It looks like it was a wonderful trip! It's always fun browsing independent toy stores. They have unique items you don't see at the big box places. I think Tractor Supply Co. sells Breyer critters! Oh, good to know, Pat! We have Tractor Supply here. We've got a few independent toy stores here in Houston still. I just don't have anyone to buy for. The dream store of my childhood was The Playhouse. I don't remember if there was more than one location but I haunted the one near me. I bought clothes for my Ginny doll there; my Madam Alexander dolls; and later on Barbie's. The store had enough craft projects and supplies to satisfy all Cub Scout den mothers. I can't recall if I got my Nancy Drew books there too or not. That store carried everything and was pure magic. I was trying to remember where we got my Nancy Drew books. I'm thinking it might have been Neiman-Marcus, when (eons ago, obviously) the only department stores were in downtown Dallas, and the department stores had book sections. And now I'm wondering if Harrod's in London still has a book department. They used to--I know because a book is the only thing I've ever bought in the store. Debs, thanks so much for sharing those wonderful toy stores with us. Such magical places. There was a toy store in my small town when I was growing up, but it is long since gone. I think there's still a toy store in Louisville, KY where my sister-in-law lives. It was in a charming shopping center across from a doctor I used to go to. And, closer still is a store in Evansville, IN, 40 minutes away, that has loads of games and educational toys and fun toys, too. Oh, and I've ordered from Hearthsong, too, Debs. I loved Hector's Pup in Marblehead. I have no idea where the name came from, but it was a tiny treasure trove. 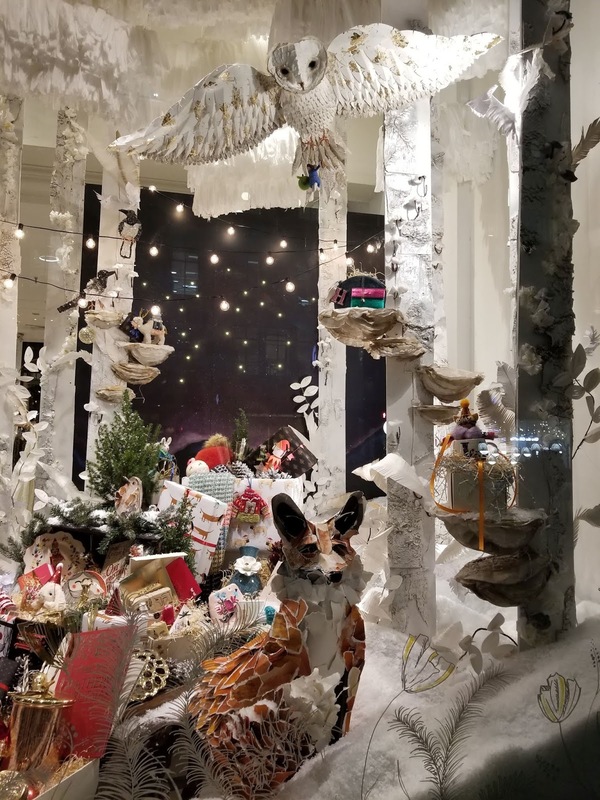 My favorite items were the plastic horses, the tiny porcelain animals, the tiny furred mice dressed up in all kinds of interesting outfits, and the doll house furniture. Wow, this really takes me back, Debs! I need to text my sisters about it! Marblehead, MA. I was so distracted thinking about the tiny fake pies and tarts, I forgot to name the state! There was a nice toy store in the town where I grew up, but I think it closed some time ago. I still love going to toy stores whenever I manage to find one.The town where my family vacations has a couple of stores that are half toystore, one quarter gift shop , one quarter bookstore. AND there is also an independent bookstore in the town! I’m not a shopper but I try to visit these stores once or twice when I’m there. We have two toy stores in Mystic, Connecticut. The Toy Soldier in Old Mystick Village has been here for 45 years and, yes, they still sell metal soldiers. Mystical Toys near the drawbridge is only 26 years old. A bit south of you there in Mystic, we have a toy store in downtown New Haven--although I can't remember the name at the moment--oy! Also, two of the Yale-associated museums have wonderful toy selections. The British Art Museum is good, but the Peabody (natural history) has the most wonderful toy selection! Dinosaurs! And science projects! Jazam's in Princeton NJ is a joy of a toy shop. And every year they sponsor a children's book festival in town. So lucky to have them. But switching to London, still miss Alice and Tom's, the lovely toy and children's shop on the Kings' Road in Chelsea. Miss it every time we visit.